If you think you can’t afford to eat healthy think again! Yesterday I posted a Meal Plan aimed at eating good food that isn’t expensive. Today I want to talk a little bit about why those choices fit better into our budget. I must say that where you live makes a big difference in food prices. You may have access to store, farmers markets, or gardens that I don’t. Please don’t take this as law but let it help you work through your budget and hopefully see places you can make changes. Also not everyone is on a tight budget and can afford to pay more for food and that is awesome. We choose to splurge in some areas. The medical situation in your family may also be different from ours so our choices may not line up with yours. We try to eat the best food our budget will allow for and that will be different in every family. 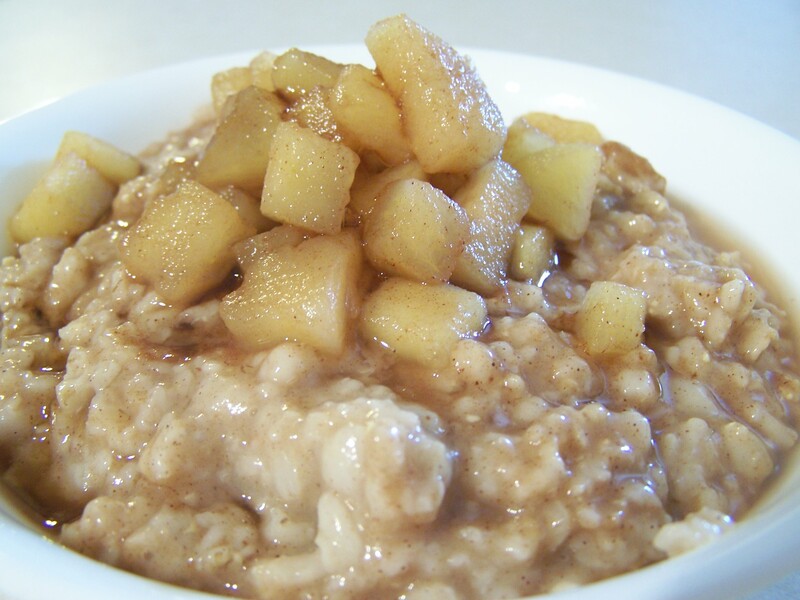 I recommend oatmeal for my top breakfast pick because it is inexpensive as well as good for you. If you compare the cost per serving it can’t be beat by boxed (or even bagged) cereal, good toast (our bread usually cost close to $3-5 a loaf, props to all of you bakers who bake your own bread), or dare I say it, smoothies. Before the smoothie police start hating on me I’ll say that smoothies are a good choice for some people. They seem expensive to me by the time I make enough for all of us. Our typical smoothie contains a lot of spinach, 2 oranges, 2-3 bananas, a mix of frozen fruit and rice milk; this makes enough for my boys and my husband but it doesn’t replace a meal. 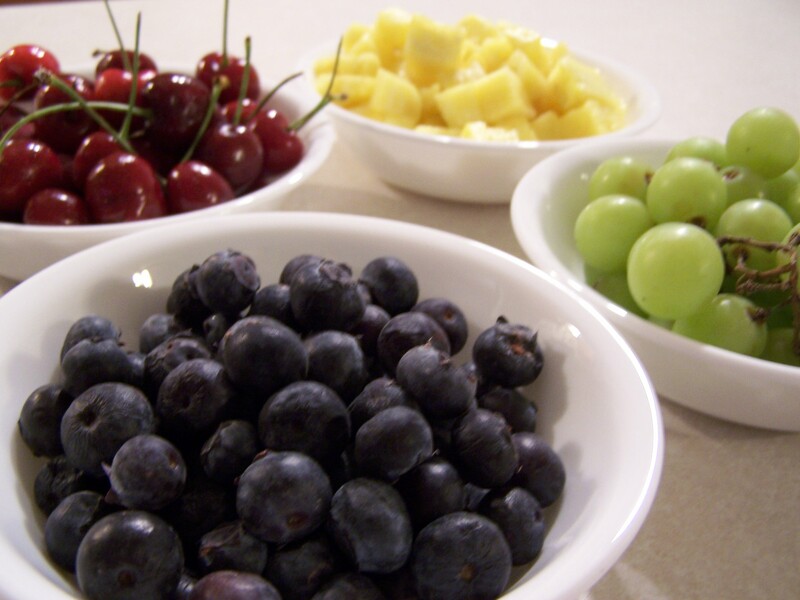 In the summer when fresh fruit is much less expensive it would be a more viable option for us. Back to oatmeal, we usually purchase it for .99 lb or less depending where we shop. Most recently we purchased a large canister (42 oz that contains 30 servings) for $2.48 that breaks down to less than .10 per serving. Even if you ate 2 that is still inexpensive. We do add ingredients to make our oatmeal more healthy and tasty. Chia seeds, ground flax seeds, walnuts, cinnamon, and sometimes a touch of maple syrup; all of these with the exception of cinnamon seem expensive if you purchase them all at once or buy large quantities of them. We usually buy them from the bulk bins. Also we don’t use much at a time. I’m talking teaspoons with the exception of walnuts but we only have about 5 walnuts broken up in each bowl. If you think that oatmeal is boring it can be jazzed up and eaten differently everyday. Blueberries and almonds, apples and cinnamon, blueberries, bananas and nut butter, are just of few of the combinations I enjoy and I typically have all of the ingredients. In the summer I’m less likely to have oatmeal as often and prefer a homemade granola using many of the same ingredients I’d put in my oatmeal. Pancakes are also inexpensive but take longer and may not be as practical for a family with gluten intolerance. Think about what you currently eat for breakfast, how much does it cost per serving and does it keep you fueled until lunch? You don’t want to get to the end of the day and realize you haven’t had your veggies. If your lunch is veggieful that will take some of the pressure off. I can eat a lot more veggies in a soup, salad or a wrap than I could on their own. We focus on seasonal produce. Below I list some of the foods we buy regularly and what we generally pay. We couldn’t afford to eat this way if we were buying the most expensive produce. For example, I love red bell peppers. I refuse to pay $1.99 for them but when they are discounted to less than $1 I’ll consider it and when they are 3 for $1 I buy them in abundance. The little bags of spinach at the grocery store just don’t do it for us; they cost the same or more than the giant bag we get at Costco. You may not have a Costco available but you can still determine where the best deals are in your area. Our soups are usually full of starchy vegetables (yeah I’m not scared of starch) and beans. Potatoes, carrots, beans, spinach, peppers, tomatoes, and broccoli are all things we can get for a good price and I can turn them into any number of dishes. My husband takes his lunch to work everyday. He takes a gallon sized ziplock bag that is at least half full of spinach, a 3 cup container with raw veggies (he may eat these over 2 days), and 2 cups of beans. If we have other leftovers he will take them along with his spinach. A side note, a few years ago he would not eat spinach at all. Now he loves it and eats it everyday! Many of us snack without thinking about. We grab a little bite of this or a little of that. We may snack out of a bag or container and eat way more than we intended. When all of our teenagers lived here they could go through the snacks. We weren’t plant-based yet but I still insisted they get one serving of whatever their snack was and put the rest away. Instead of grabbing a snack because “we kind of want something” try to pick a snack that is something your body needs, fruit, raw veggies, nuts, nut butters, hummus, or other healthy choices. I know, sometimes you just want junk. There is room for that too…sometimes, but it can’t be an all the time habit. Banana Bread or Gluten-Free Chocolate Chip Banana Muffins have their place too. I usually feel very satisfied with a sliced apple dipped in almond butter. If I’m really hungry I’ll eat it on top of a piece of toast. Snack time is my most likely time to have a smoothie. It is the easiest way to get greens in my youngest and both of my boys will sit QUIETLY the whole time. In the summer this is a good option for us when produce is less expensive. 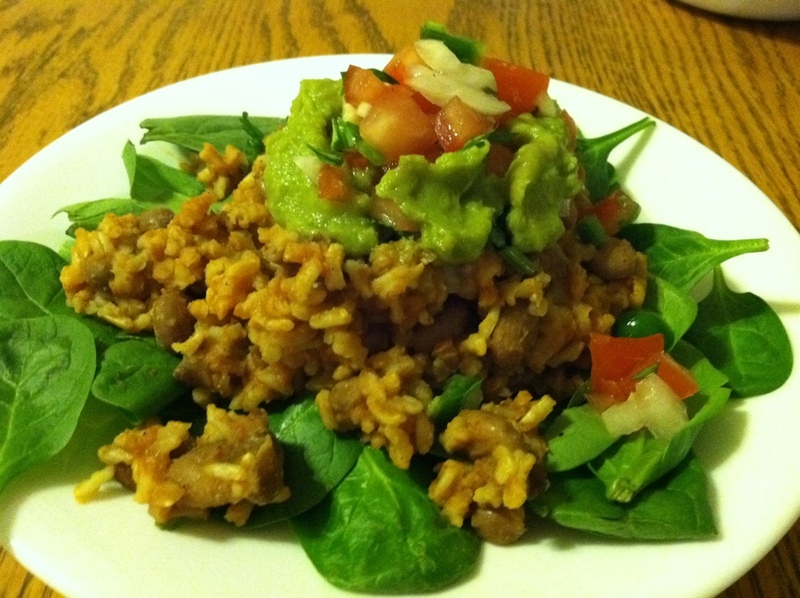 The dinner ideas I posted yesterday are full of whole grain goodness. My husband follows Dr. Fuhrman’s Eat to Live plan so he isn’t interested in a lot of grains; but they are perfect for my growing kids and my husband enjoys them on occasion. By serving a large salad and a bean centric entre he is able to stay on track. These meals reheat well for leftover lunches and keep us full. Another thing to consider is that these are meals my family likes. We don’t waste any food because leftovers get eaten. That doesn’t mean your family shouldn’t be exposed to new things but you may need to take it slow. Find recipes your family has always loved and adapt them to make them healthier and less expensive. Substitute lentils for ground beef and substitute chickpeas for chicken. If you are transitioning to a plant-based diet and your family is not willing to help you may need to cut back on the meat while gradually adding the beans in their place. 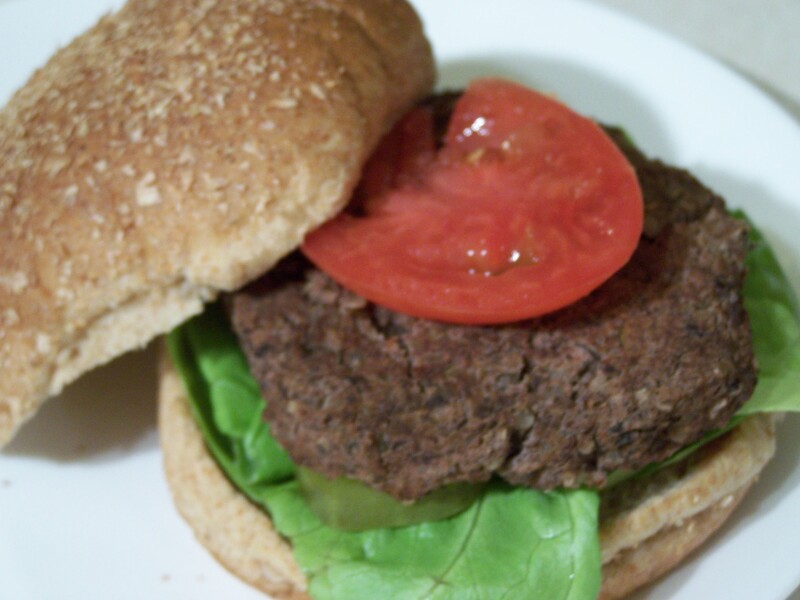 We don’t use processed meat replacements because they are not as healthy and expensive. Many contain wheat/gluten and dairy which are our top two allergies. Here is a list of some of the items we buy regularly. Many are in bulk but not all. Buying in bulk is usually more economical, if you have the space to store everything. 26 oz’s of Organic Almond Butter (I can’t remember the price but it is close to the same as the small container at Sprout’s. Old Fashioned Rolled Oats for .99 lb. This isn’t all we eat. Just the items we buy regularly. For some items that means weekly, others monthly, and some quarterly. Now that you know what works for us share what works for you. What is your best tip to eat health and stay on budget? We are able to get oatmeal for $35/50lbs. That is a tremendous savings for us. We use to make pumpkin oatmeal with our harvest but have ran out now and our garden pumpkins failed this year. But we found apples for $0.50/lb and put up $100 worth. We should make it all year and it changed the flavor enough it is like a different breakfast. We eat oatmeal 6 days a week…Saturday is your “free” day. Whatever is left over is generally what is eaten. Oatmeal is a gem. Awesome Kerri! I love to see people getting good deals! We use Bob’s Red Mill oats, in 25 lb bags for around $14 to 17, depending what time of year I buy. I use 3-4 bags a year. I’m so glad. 🙂 I was afraid I would lose everyone with too much information. Thanks! Thank-you so much! I just found your site and want to read everything right now 🙂 but it’s like midnight so maybe I’ll finish in the morning…. I just watched the documentary Forks Over Knives, it was so eye opening… you’re site will be helpful in trying to transition off of animal based products with a family. Hello Danielle! Welcome! I’m so glad you found my site. Let me know if you have any questions along the way!